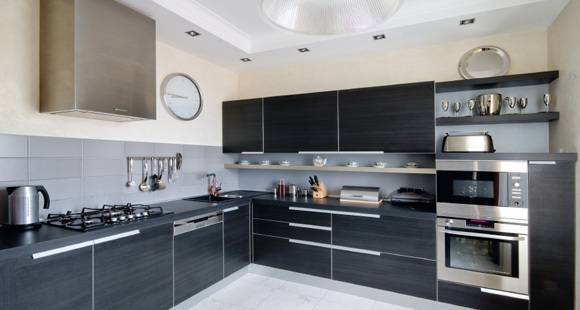 Located in northern Melbourne, at Concept Bathrooms we provide high-quality kitchen renovation services in Melbourne, focusing strongly on customer satisfaction. With over 25 years of experience building stylish, modern & traditional kitchens Melbourne-wide, we cater for any budget and accept all jobs, large and small. 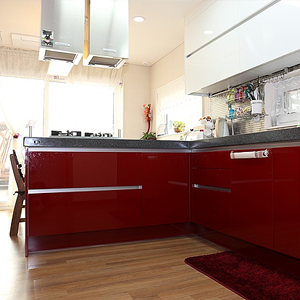 We construct well-designed, well-built and made-to-measure custom kitchens at very friendly prices. We utilise our combined expertise and professional customer service to provide you with the best outcome for your kitchen renovation experience. We look carefully for every available option to redesign your kitchen and also proactive to provide you with all latest trends and advise on any what- to, how -to & not -to. At Concept Bathrooms, we help clients remodelling old granny kitchens into modern and smart kitchens while allowing you to mix and match colours and textures. What is about the current kitchen design that you aren’t happy? Are you after more room for your family? Or, the new appliances would not fit into the current kitchen? Complete Custom Kitchens. Built to suit any style. We consider every little bit, including What is your regular style of cooking? Do you do the grilling, frying, baking etc. usually so that we could design the kitchen accordingly. 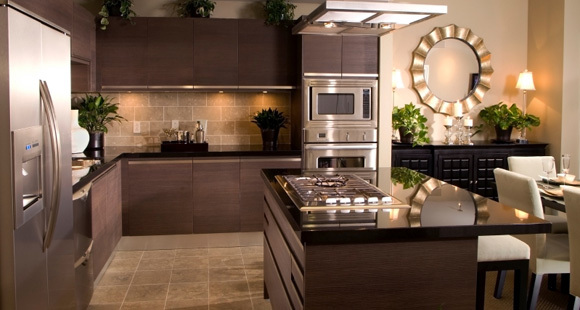 At Concept Bathrooms, we will help you select the right kitchen supplies for your custom design kitchen. We supply products from luxury kitchenware brands such as CLARK and ABEY. Consult with us for further information on designing and creating complete custom and luxurious kitchen designs of all styles. What is the process looks like for luxury renovation of a kitchen? Well, there are a few critical decisions you have to make before we could start the process. The layout of your kitchen should match rest of your home. You should also give some thoughts on how much space you ideally want for your kitchen? Appliances, family size, cooking style- after all it matters in the design process. Although the architect of your house would very much matter in the selection of your kitchen renovation, needless to say, we can always tailor a few elements to make it your dream kitchen. The three main styles of a kitchen are – classic, contemporary and country type. Classic kitchen designs are memory evoking all time favourites. Families have adored these age-old style kitchen. Big open, airy space, high gloss cabinet with stone bench tops featuring glass & glossing and modern appliances. Bar typesetting goes very well with contemporary decor to add on. A mix of archaic and modern design, country style kitchen is characterised by sophisticated doors, corbels, decorative columns, embellishments and lavish glass inserts to name a few. If you are someone who likes to decor the kitchen as much as your living room, this style is something you should research on. Kitchen cabinets design and layout play a significant role in the final look after renovation. A high functioning modern kitchen cabinets use even the tiny space in the kitchen. You can choose either a work triangle for a small kitchen space or go to a workstation cabinet for a bigger one. Functionality is an essential element so that the kitchen space could be utilised correctly for a tidy and organised space. Our expert consultants will meet with you for a face to face consultation on the concept design of the kitchen. For layout and design ideas, visit our store or request a brochure here, to look at some of our inspiring modern kitchen designs. We can also look out for Pinterest, magazines, Youtube videos or any other preferred media to see what you like.